Highline Comfort Height Elongated Toilet Bowl Only In Almond Innovative features and performance have made Highline toilets an industry benchmark since 1966. Continuing the tradition is this Highline toilet bowl, which provides a standard chair height and an elongated shape for maximum comfort. 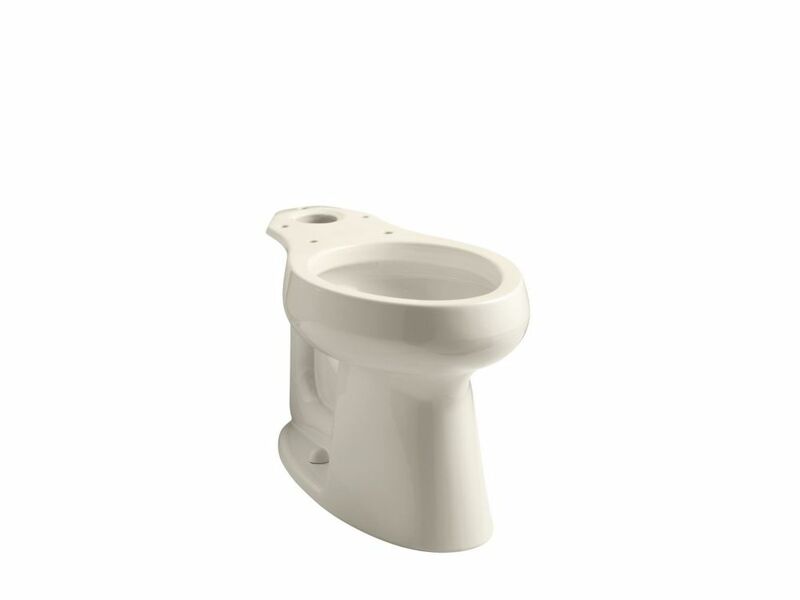 This bowl coordinates with several Highline tanks to create a complete two-piece toilet. Highline Comfort Height Elongated Toilet Bowl Only In Almond is rated 5.0 out of 5 by 8. Rated 5 out of 5 by HomeDepotCustomer from Excelente .... Excelente . Rated 5 out of 5 by Robert from Toilet just as we ordered. Installation done quickly and professionally.... Toilet just as we ordered. Installation done quickly and professionally. Rated 5 out of 5 by Chad from I am happy with my purchase!... I am happy with my purchase! Rated 5 out of 5 by HomeDepotCustomer from Just as advertised. The comfort seat height is comfortable for... Just as advertised. The comfort seat height is comfortable for everyone. Rated 5 out of 5 by Tooler from Met all my requirements. Easy to assemble and theflush... Met all my requirements. Easy to assemble and theflush is very adequate. Would definitely recommend. Rated 5 out of 5 by RAS from Great service by the salesman!’As always! Great service by the salesman!’As always!